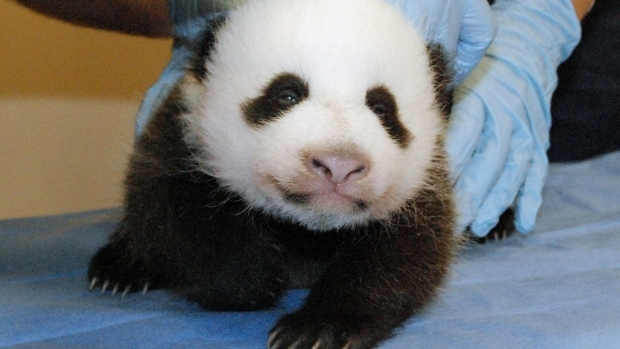 Bao Bao is back and cuter than ever. As if being a roly-poly panda cub wasn't enough, footage has emerged of her adorably slurping down a frosty treat. The Smithsonian's National Zoo has released a YouTube video of giant panda Mei Xiang and her cub Bao Bao enjoying what they call a "fruitsicle." The video description says that the zoo gives the pandas a frozen treat every day during the summer and that Bao Bao is "showing more interest in solid foods." Bao Bao was born at the zoo Aug. 23 last year and is Mei Xiang and mate Tian Tian's second surviving cub. Watch the video above, or click here to watch it on YouTube.